Discussion in 'Sandalwood' started by Oud_learner, Dec 20, 2017. 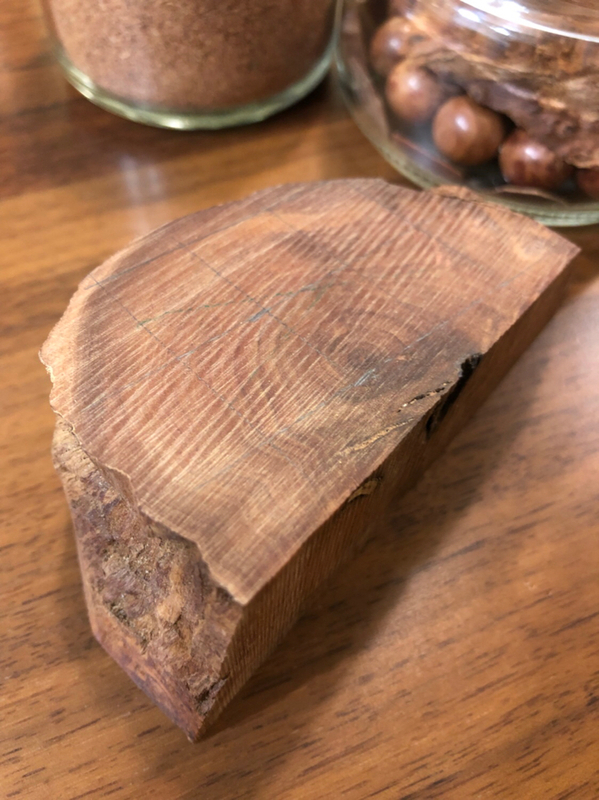 I had bought a sizable and beautiful Osyris sandalwood block from Ensar a while ago. Since it was quite a big block, I had a crazy idea and decided to carve some beads out of it. Adam was very kind enough to accede to my request and managed to get hold of his in-house carver to take up the job. 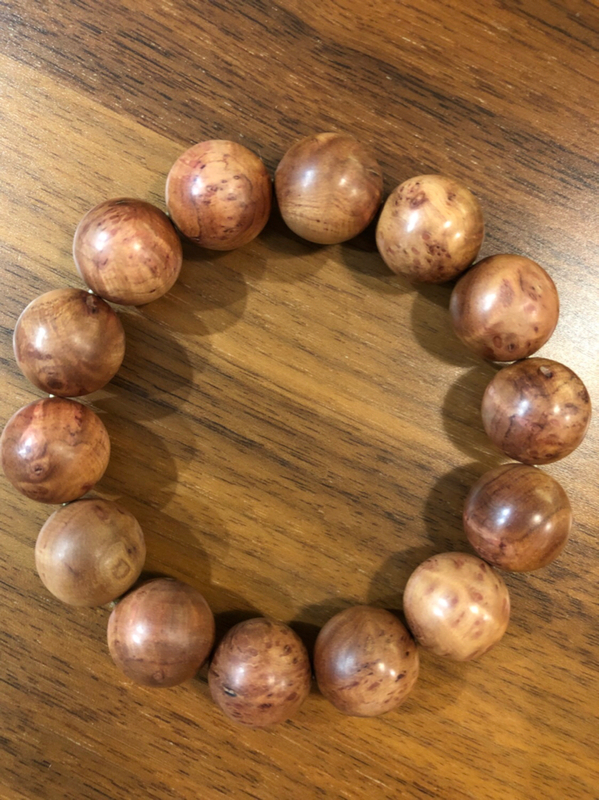 Beautiful natural grains and pattern on the beads. Left over dust, shaving and beads. The dust and shaving made great kodo materials. Left over small wood blocks from the carving. Check out the contrasting grains on the surface. Left over wood block. Super dense and heavy, not unlike that of the ebony wood. A big thank you to Ensar and his team (especially to Adam who has been very helpful as usual throughout our email correspondence) for this beautiful art work! 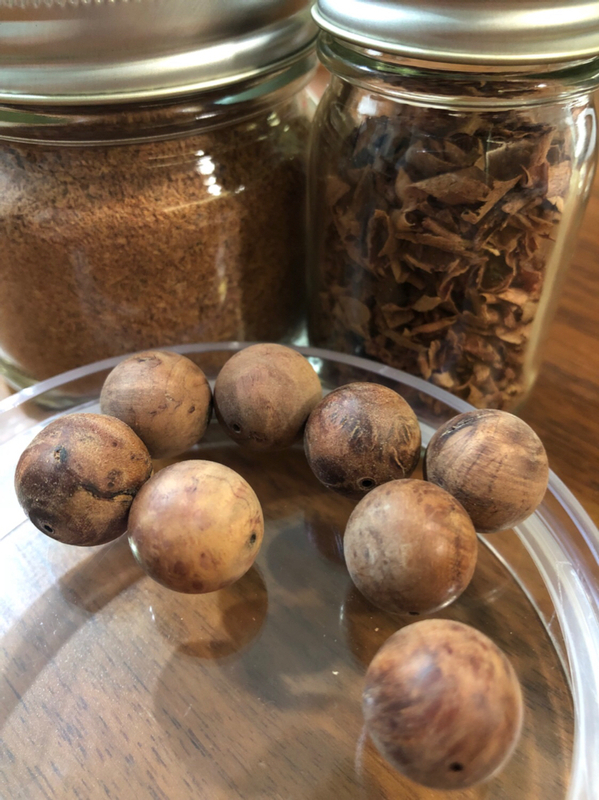 HeidiJoBotanicals, Oudamberlove, Ouddict and 3 others like this. This looks great! I actually want to find a carver myself and make my own bracelet of Osyris beads. I once burned a bit of the powder that resulted when I sawed of a slice off the block for a friend. The scent of Osyris is something different, Osyris has way more sweet, lemon-y, caramel or honey-like notes than Mysore Sandal. 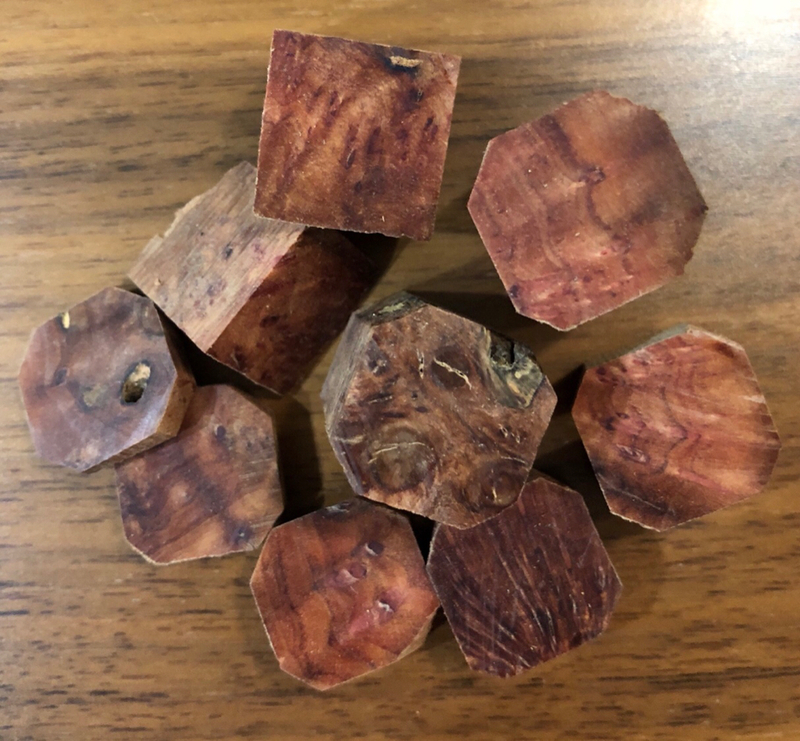 I think it would be great to make cones or sticks from Mysore sandalwood, with a msall percentage Osyris mixed in (like, 15-20%) to sweeten it up a bit. Oudamberlove, tyson, Ouddict and 2 others like this. Do you mind sharing how much he charged for the carving to be carried out, or the price altogether including the price of the wood?